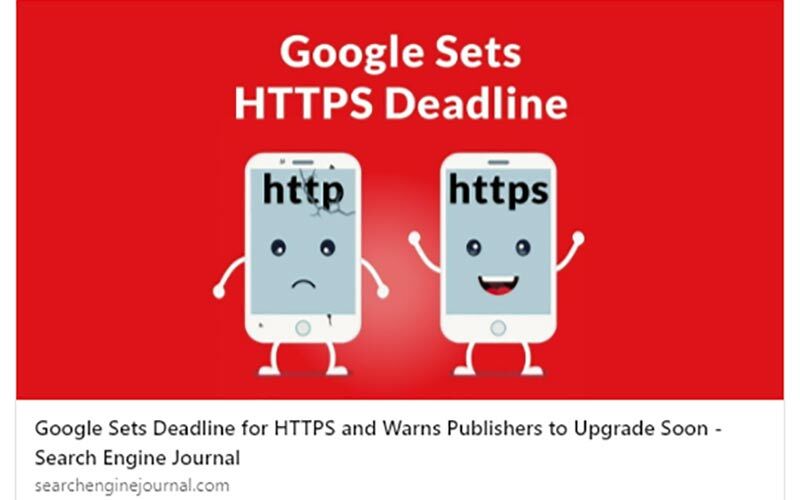 As reported on Search Engine Journal back in February, sorry guys I missed it, Google has announced a deadline of July 2018 as the date for when Chrome will begin explicitly warning users if a site is insecure. Google sees any site that is running on HTTP as insecure. As a well-informed nerd, I understand that when I see a website marked as insecure it doesn't mean that the website is bad, spammy or shady. It just means that any communication I have with it are not encrypted and therefore not secure. However, not everyone is as informed as I am. Can you imagine a prospective customer of yours landing on your site and Chrome informs it with a bright red banner that your site is not secure? This will at the very least affect how secure any user feels and I practically guarantee it will cause some visitors to leave a site, which will negatively impact a sites bounce rate. Our business is based on trust, it is trust that essentially drives the purchase decision forward. It is a really good idea to get your site onto the HTTPS protocol immediately if you aren't on it already. We have been making our sites HTTPS for nearly two years now. because Google has been hinting at this for at least that long.